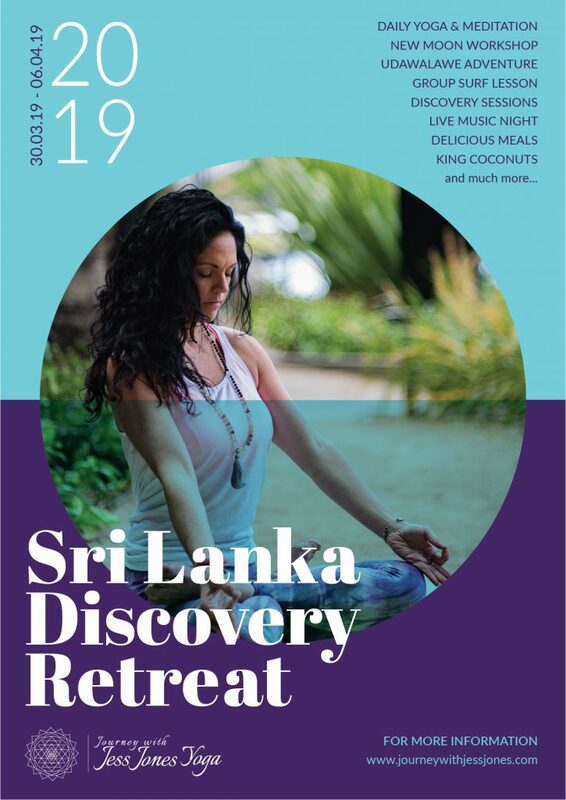 Read ALL about our upcoming Sri Lanka Retreat 2019 RIGHT HERE! And don’t hesitate, complete your expression of interest questions HERE! Think teacher training immersion without the teacher training! Switch off from the outside world, take refuge in an Ashram, learn what it means to live a yogic path to evolve…and learn how to integrate it into your western world! Melbourne Soulful Escapes: Weekend Retreats from city life back to yourself. Contact us to book a private escape now! And stay tuned for upcoming getaways by signing up for the newsletter on the right! © 2017 Journey with Jess Jones Yoga | All Rights Reserved.